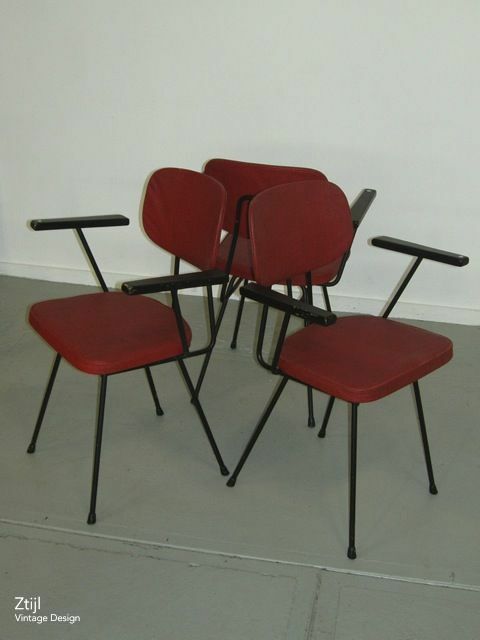 Beautiful Gispen chairs attributed to Wim Rietveld. 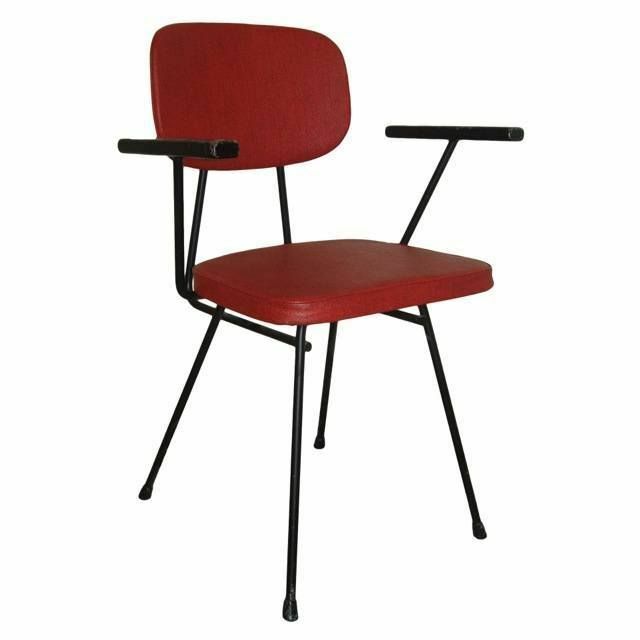 The frame is made of iron, the red upholstery is made of vinyl and armrests are made of wood. Considering its age these vintage chairs are still in good and original condition (one of the chairs has a small crack in the upholstery). 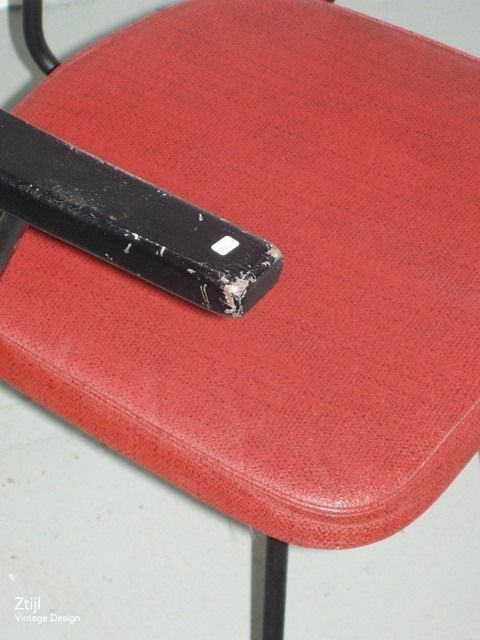 The seat height is 47.5 cm and the height of the armrests is 66 cm. The width of the seats with the armrests is 58 cm. 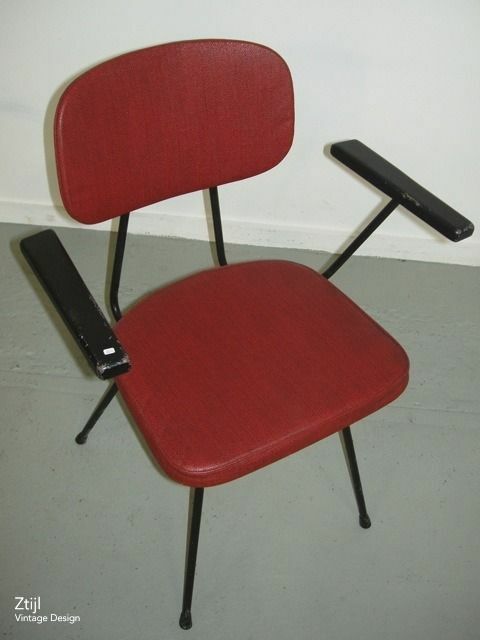 The price per chair.